My last GMAT score was 640 with Q49 and V27. I am now planning to take my GMAT again in May end or June start. I am improving in my Quant skills and confident enough that I can manage Q50 this time or even Q51. But my main problem is with verbal. I want my verbal score to improve from V27 to V41. 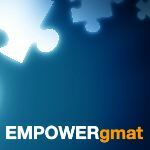 I have enough GMATClub points to buy EMPOWERGMAT full course for one month. I am planning to buy this. EMPOWERgmatRichC can you please guide me with a 1-month verbal course from EMPOWERGMAT? Will I get full course if buy through GMATCLUB? Hi Chaitanya, which specific section in Verbal is bothering you the most? Do you have a ESR that you can share? I've around 70-80% accuracy in Sentence correction and I want that to be increased to 90%. In CR my accuracy is 60% and in RC it is 65-70%. So to be precise, I want to focus on all areas. About 6 months ago (back in October of last year), we discussed your studies up to that point and how you have been scoring on your practice tests. Considering how long ago that was, I have a few questions about how you've been studying since then. 1) Have you been studying consistently over the last 6 months or did you take any "time off?" 2) Which "brands" of CATs have you taken since then and how have you scored on EACH of your CATs/mocks (including the Quant and Verbal Scaled Scores for EACH)? 3) Is your Score Goal still 750+? Based on your Verbal 'needs', I think that the EMPOWERgmat Verbal Score Booster Study Plan would be a good fit (and you'll have access to all of the Course Modules - including all of the Quant Modules). We spoke last October during my first attempt. I scored 580 at first. Then I wrote again in January and score 640. Now I am preparing again to score 740. I have been studying almost continuously through the 6 months. May be for 2-3 weeks I was not upto the mark to concentrate much because of family occasions. I always gave mocks of official gmat by resetting again and again. All the time my scores were around 630-640 only with V27 or V29. 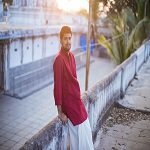 I am now seeking a study plan for verbal through empower gmat course. Would you also like some specific advice on how to improve your GMAT verbal skills?